Australia’s Yarra Valley has long been associated with daring, interesting and often counter-intuitive winemaking. Why? Because the quality of the land and the grapes which grow there is so high, the wineries which call Yarra their home can afford to think outside the box, pretty much safe in the knowledge that the vines are going to deliver the goods come harvesting season. Airlie Bank is a decent example of this. It’s the second label of Punt Road - one of the leading wineries in the region - and it’s overseen by Tim Shand, who’s known in the area as something of a maverick, always keen to celebrate the unusual, the outsiders of the grape world, and the experimental. His goal, since joining Airlie Bank a few years ago, has been to bring interesting and unexpected wines to the mid-range price bracket, and to widen the horizons of Australia’s wine loving population. 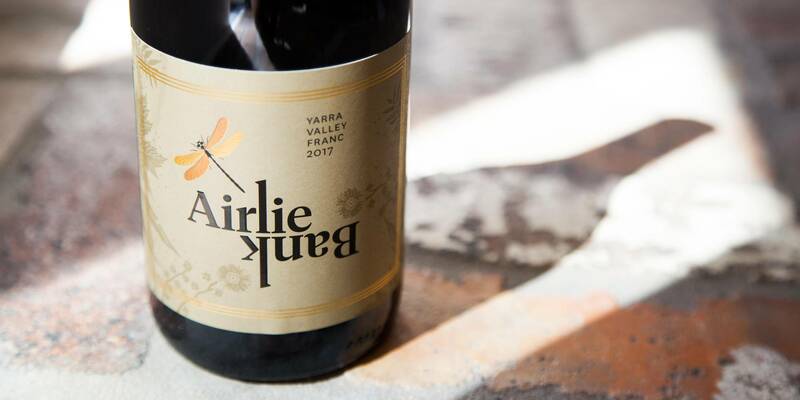 The results have been extremely well received, and even the more challenging bottles brought out by Airlie Bank have found themselves snapped up by lovers of authentic Aussie produce. Tim Shand is a straight-shooting guy, but his wines belie his vinous deep thinking, especially when it comes to the more experimental wines being turned out under the Airlie Bank label. The new release of Franc, celebrating the joys of Cabernet Sauvignon's slurpy younger cousin Cabernet Franc, is a great one, a perfect example of the long, cool 2017 vintage. Cabernet Franc shares the dark fruit spectrum with Cabernet Sauvignon, but has a softer texture and less tannin. This wine is great vehicle for some of the spicier, meatier flavours that the wine has, along with its charming texture. Easy going and easy to like, Franc is great to have around. Tim Shand is a straight-shooting guy, but his wines belie his vinous deep thinking, especially when it comes to the more experimental wines being turned out under the Airlie Bank label. 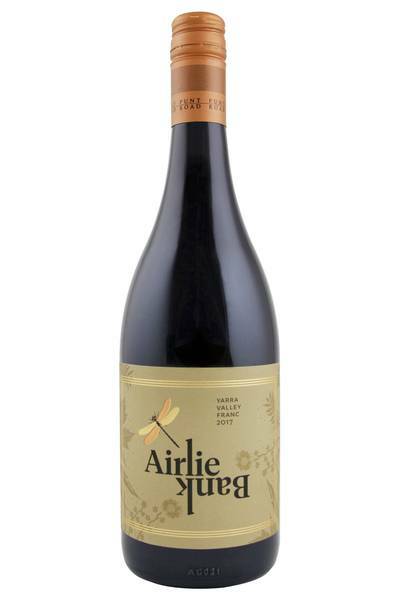 This Cabernet Franc from Airlie Bank is a real food friendly wine. It’s got a savoury character along with its medium body and juiciness, which makes it just delicious when served with hearty, meaty dishes of almost all kinds - roast chicken and turkey work well, as do beef burgers and stews. Cabernet Franc also goes especially well with lamb and pork - essentially, if you’re cooking meat, this wine is going to do the trick. In its native France, it’s a real favourite to drink alongside goat’s cheese, and it’s also a natural pairing with rustic, deeply flavoured bean, aubergine or lentil dishes, too. Have fun and experiment with this wine - you can’t go far wrong!